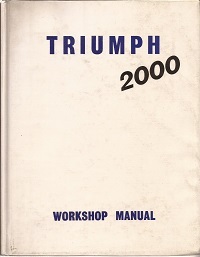 A genuine Triumph manual. Part No. 510325. issued in 1962. Covers all 1200 models. In eight parts plus appendix and in good condition with age related wear to the covers. Probably an official reprint of the original loose leaf factory workshop manual. Dated 1964 with 6 groups. An ex-library copy in great condition except front end paper missing. 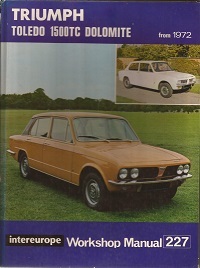 An original manual issued by BL Cars Ltd in 1973. Publication Part Number 545162. In good used condition. Matching handbook also available. 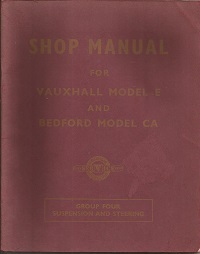 Vauxhall Model E & Bedford CA Manual Issued by Vauxhall Motors Ltd in 1952. Number TS 306. Covers suspension and steering components on the Velox Wyvern and CA models. In good conditiion. 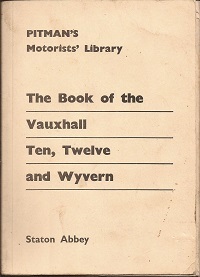 A Pitmans Motorist Library book dated 1959 covering the four cylinder cars from 1938 to 1957. In fair condition without dust jacket. 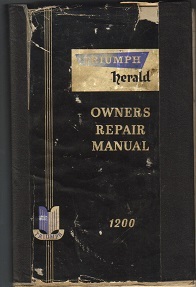 Haynes owners workshop manual covering the Saloon HL and Sprint versions with 1854 CC and 1998 CC engines. ISBN 0856965022. In good condition with some marks and spine wear. 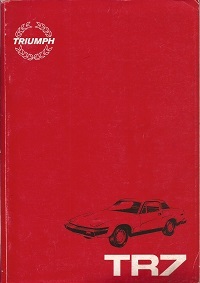 An original manual issued by BL Cars Ltd in 1980. 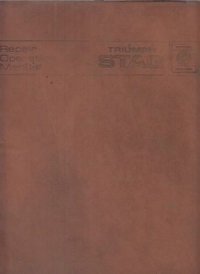 Publication Part Number AKM 3079 B. In very good condition. 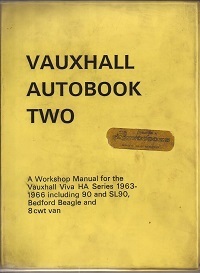 A workshop manual for the Vauxhall Viva HA series from 1963 to 1966 including 90 and SL90 models. And the Bedford Beagle plus 8CWT van. In fair condition. 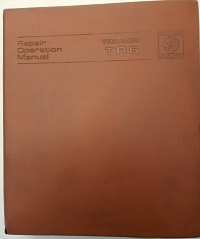 A Triumph workshop manual supplement for the TR6 PI. Publication Part No. 545090. The covers have age related wear but the inside is very in good condition. 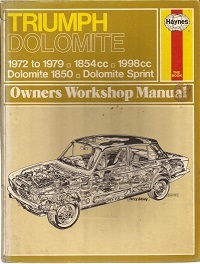 An Intereurope workshop manual for the Triumph Toledo 1500 TC and Dolomite models from 1972. ISBN 0856660477. In good order. 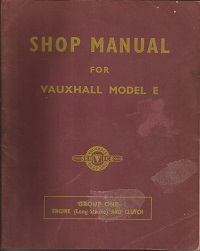 An original manual issued by Vauxhall Motors Ltd in 1952. Number TS 302. Covers Long stroke engine and clutch components on EIP and EIX models. In good condition. A Peasrons owner driver guide By K.M. Acres. 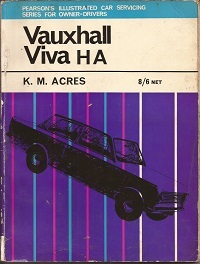 For Viva HA models from 1963. 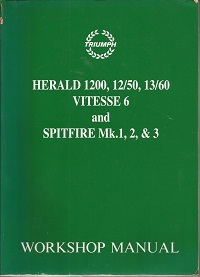 With 13 sections over 78 pages and in good used condition.